Raksha Bandhan is round the corner and is perhaps one of the most well known Indian festivals celebrated. It is a festival which is very close to the heart of all the siblings throughout India since time immemorial. Zebronics offers a vast variety of elegant and exciting gifts to choose from. To give a significant note to the Rakshabandhan, sisters and brothers in throughout the world look for a attractive gift to present their dear ones, wrapped with their sentiments and lots of emotions. Similarly, Friendship Day Gifts plays a significant role in strengthening the bond you share with your dear ones. It should be therefore selected with love and care. Make this festive season special by gifting useful and trendy gadget to your loved ones. 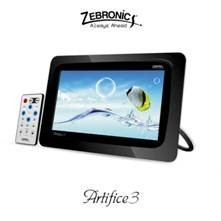 Zebronics, India’s leading supplier of products and accessories for Computers, Consumer Electronics and Communication is expecting a boost in the sales of digital lifestyle products this festive season. 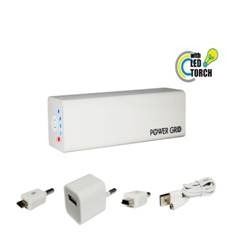 One convenient power source for most devices, the Zebronics Power Grid is powerful enough to charge two tablets or devices simultaneously, and works with a variety of smartphones and small devices powered via micro/mini USB connection. Available in three variants - ZEB-PG2400 (8,88 wH, 2400 mAH), ZEB-PG4800 (18wH, 4800 mAH) and ZEB-PG7200 (26.6 wH, 7200 mAH), You can take the Power Grid with you on a trip, to listen to songs, make calls or play unlimited games without the fear of running out of battery on the move. You can also charge your camera to continue taking photos. Best of all, the compact device easily slips into a pocket or bag, eliminating the need for multiple chargers. A nifty and useful lifestyle accessory that every user will soon find indispensable. Zebronics Monster Tower - ZEB-BT8000RUC delivers up to 50W RMS of sound in a unique single-box form-factor that dominates the room. The distinctive design feature of the Bluetooth Tower Speaker is the four 3-inch drivers on all sides of the box, for a 360-degree surround sound experience complementing a 5-inch subwoofer. The drivers’ inherent stiffness, low mass and self-damping properties allow them to deliver clean, accurate sound. 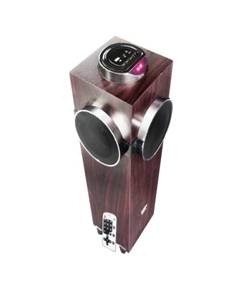 The control pod is located on the top, and includes the volume and sound source controls; play/pause, rewind and forward buttons; the input ports (USB or SD/MMC cards); and a LED display. The controls can also be managed through a full function remote controller. 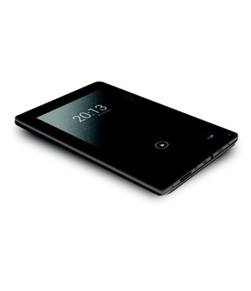 The first of the company’s tablets, the Zebpad 7c and the Zebpad 9c, feature 7-inch model comes with 800x480 pixels resolution supporting a 5-point, capacitative touch-screen. Powered by a 1GHz Cortex A8 processor and a Mali-400MP 3D GPU for smooth video rendering and running on the Android 4.0.4 ICS operating system, jelly bean update coming soon. Both the models are dual-camera tablet sporting a 2-megapixel rear camera and a VGA front shooter. With in-built Wi-Fi 802.11 b/g/n and the capability to link up 3G network via external USB dongle, they keep you connected anywhere – while the 3200 mAH battery (a feature not found in other similarly priced tablets), ensures true on-the-go functionality without the need for frequent re-charging. Another unique feature is the humongous 8GB built-in memory, letting you carry your favourite multimedia content and multiple apps. The memory can be further expanded up to 32GB through the micro SDHC slot. Comprising five models, the new line-up ranges from the elegant clip-on stereo pair ‘Blue Gear’ with advanced audio for music and video lovers, to the ultra-small capsule style ones – all designed to let consumers take calls and enjoy their favourite multi-media content wherever, be it at home, office or the gym. All five models incorporate built-in microphone for hands-free operation, and work on a radio-frequency of 2.4 GHz distortion-free and clear, comfortable usage up to a distance of approximately 10 meters (33 feet) from the source. Inbuilt answer switch and volume controls with noise reduction round off the features. The headsets are lightweight, powered by rechargeable lithium battery and feature rugged construction to ensure increased reliability, stability and overall lifetime of the accessory. They are compatible with nearly all smartphones, tablets, and computers offering Bluetooth connectivity, without any adapters. 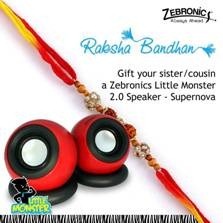 Surprise your sister/cousin this Raksha Bandhan with a gift from Zebronics! Tell us why would you want to gift your sister/cousin a Zebronics Little Monster 2.0 Speaker - Supernova(in about 25-50 words) ? 3 Lucky winners will have a chance to send a Zebronics Supernova along with a personalised Rakhi Gift Card to their sisters/cousins this Raksha Bandhan. Contest closes on 17th Aug 2013 at 1PM, Hurry ! Send in your entries to contest@zebronics.com or Zebronics Facebook Fan Page Inbox. Established in 1997 and headquartered at Chennai, Top Notch has one of the industry’s widest line-ups of products and accessories for Computers, Consumer Electronics and Communication. 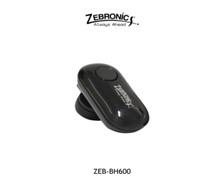 encompassing a range that includes computer peripherals, gaming devices and media players etc, under the brand name "ZEBRONICS". The products are Tablets, PC cabinets/chassis, keyboards, tablets, mouse, PC power supplies, UPS, monitors, webcams, speakers, TV Tuners, headphones, portable media players, Laptop accessories, gaming accessories and more. Top Notch has 30 Branch offices and 85 service centres covering all major cities. The Company employs over 500 people and operates through a network of about 10,000 channel partners throughout the country.